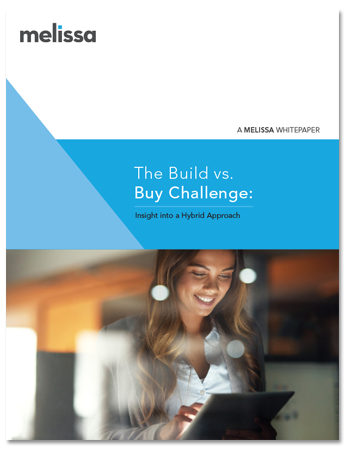 Melissa offers flexible delivery options, including on-premise, Cloud and SaaS (Software as a Service) as well as integrations for leading platforms like Salesforce, Microsoft Dynamics CRM, SQL Services Integration Services (SSIS), Pentaho PDI and Talend. We also offer a full service bureau and automated FTP for all your data cleaning, profiling and enhancement needs. These options are backed by our 30+ years of experience providing data quality and enrichment solutions to organizations all over the world. Secure Our data centers around the world are secure and support data privacy regulations including SOC 2, HIPAA/HiTech, and the EU Privacy Shield. Scalable All of deployment options offer full scalability with different record count tiers to meet your needs. Dependable Our Cloud Services offer 99.9% uptime standard, with 4 Nines available through an SLA.